For the most part, this pregnancy, my second, has been relatively non-eventful in terms of worries and scares. We suffered some very early alarm bells, but these turned out to be no big deal, and since then I've sailed through pregnancy without so much as a bout of morning sickness. I did however end up at my local hospital last week, and whilst the visit itself doesn't necessarily warrant a whole blog post, I felt the topic ought to get a mention. Baby has been incredibly active since I hit the 15 week mark, which is relatively early to be feeling fetal movement, but not unheard of in second and subsequent pregnancies. It's possible that we just have an abnormally strong child, as Boyfriend has been able to feel baby move from pretty much the same time I have; whilst ordinarily, a pregnant Mama can feel her baby moving inside her some time before these movements can be felt from outside her body. Several months on and we're now relatively familiar with Baby's movements, and whilst there isn't a strict pattern, I can always expect to feel Baby move at certain times of day or when I'm doing something in particular (such as taking a warm bath). Last week however, everything went quiet. Very, very quiet. 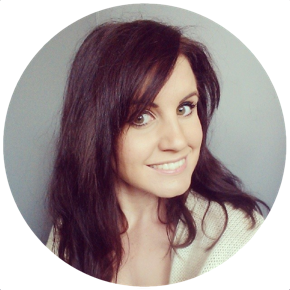 Sitting down on Thursday afternoon it suddenly occurred to be that I couldn't remember the last time I'd felt Baby move that day, I laid down on the sofa, but couldn't feel a single movement, so I ran a bath, but still only the faintest possibility of a nudge from my tummy. When I lay down in bed that night and still wasn't greeted by the usual rhythmic kicking that I fall asleep to, I began to worry, and even more so when there was no "good morning" from Baby the next day. So, I called the hospital who asked me to go in to the maternity daycare unit as soon as I could, boyfriend came over to pick us up, and off we trundled. I'm lucky that my maternity services are provided locally by the Queen Elizabeth the Queen Mother hospital at Margate who, touch wood, have so far been absolutely wonderful. It didn't take long for a midwife to feel around in my tummy, and use a sonic tracer to listen in on Baby's (super healthy and strong) heartbeat. We could even hear Baby moving about quite happily and so the whole rather scary experience was put down to a "lazy day" on Baby's part. Of course, within an hour Baby was kicking and wiggling away with such ferocity that I immediately felt foolish. But there's the thing, reduced fetal movements are getting more and more recognition as a matter to be taken very seriously at any point in pregnancy (once regular movement is established) and that's why I wanted to post today, not just about my experience, which turned out to be a false alarm with a happy ending, but to urge anyone who's noticed a change in their baby's movements to get checked over, to put their own mind at ease more than anything. A baby's movements provide one of the most tactile opportunities for expectant parents to bond with their unborn child, and when these movements, which are your only mode of communication with your baby, drop off, it is really scary. No midwife or doctor should dismiss you as being neurotic or worrying over nothing if you have a really bad feeling about your baby's sudden quiet spell. On this occasion we were certainly listened to with concern and reassurance, and the midwife was only too happy to do what she could to check that Baby wasn't in any trouble. She also stressed that if Baby's movements didn't pick up, or he/she did this again, we were to go straight back, despite the fact that on this occasion there'd been no cause for concern. 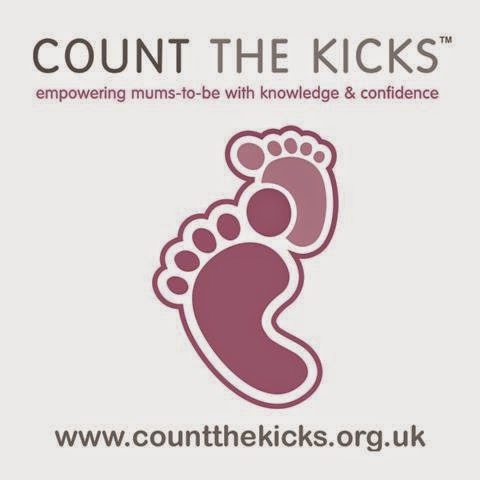 UK charity Count The Kicks have a fab website if you want information about how to use your baby's movements to monitor their wellbeing, and what to do if you notice a change. Some of the advice below comes from their site, and some directly from the NHS, and I hope it proves useful to anyone reading who is concerned about reduced fetal movement, at any point in their pregnancy. Always report a change in your baby's movements to your midwife or local maternity ward. There is no set recommended number of movements that you should experience. The previous advice that you should be counting ten movements each day is now recognised as useless and outdated and no longer advised by the NHS. Every baby is different, and it's important to get to know what's normal for your baby, that might be eight movements a day, it might be sixty. If your baby isn't moving with a regularity that's normal for them, seek help. Babies do not slow down, or reduce their number of movements in later pregnancy. Again this is utter tosh. You should feel your baby move with the same regularity and strength up to and during labour. Do not count hiccups as baby's movements. Most expectant Mums feel their baby move for the first time between 18 and 20 weeks. For some (like me) this happens earlier, and for others, a bit later. If you've felt no movement at all by week 24, speak to your midwife. Recognise things that you can use to prompt your baby to move. For me, these include laying flat on my back, having a warm bath and, somewhat reliably, the sound of Boyfriend's voice. If you notice a reduction in movements you then have a few tricks up your sleeve to try to get baby moving and put your mind at ease. About 15% of pregnant ladies seek medical attention for reduced fetal movement, so you are not alone, and the midwives won't be surprised to have you in. Any midwife will tell you that they'd rather see a lady 50 times and reassure her on every occasion that she and her baby are fine, than only see her once and have to give her terrible news. Do not use a home Doppler to check on your baby if you notice reduced movements. You may be reassured to hear their heartbeat, but only a trained midwife or doctor can "read" that heartbeat and determine whether or not your baby is distressed. A home Doppler can also pick up a Mother's heartbeat, or a beating placenta. It is vital that medical assistance is sought whilst a baby still has a heartbeat - so don't rely on this as a method of self-diagnosis. I'm just glad that on this occasion, we had no reason to be worried, but I'm still glad that we went and got checked out. Big thanks as always to the midwives at the QEQM for being so helpful and understanding.